SALE! Get your copy for $10.00. You can buy from eBay, if you prefer. Limited numbers left, because the Updated Fifth Edition came out in 2017. Bulk discount of 20% if you buy three or more. See our order information page. Covering everything there is to know about the world’s first and most diverse national park, the fourth edition of this best-selling guide to Yellowstone boasts more facts, anecdotes, history, and travel tips than ever before. Mile-by-mile road logs document every approach to the park and every interior road. 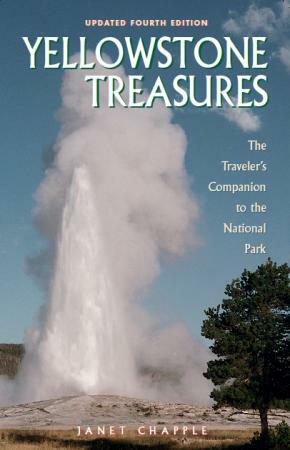 Through easy-to-understand explanations and diagrams, readers will learn of Yellowstone’s campgrounds and facilities, geyser basins and the frequency of the geysers, out-of-the-way hikes, and flora and fauna. Since this edition of the book is now out of print, look for it where used books are sold. Instead, try the 2017 paperback or e-book. For full specifications, see the Media Kit.